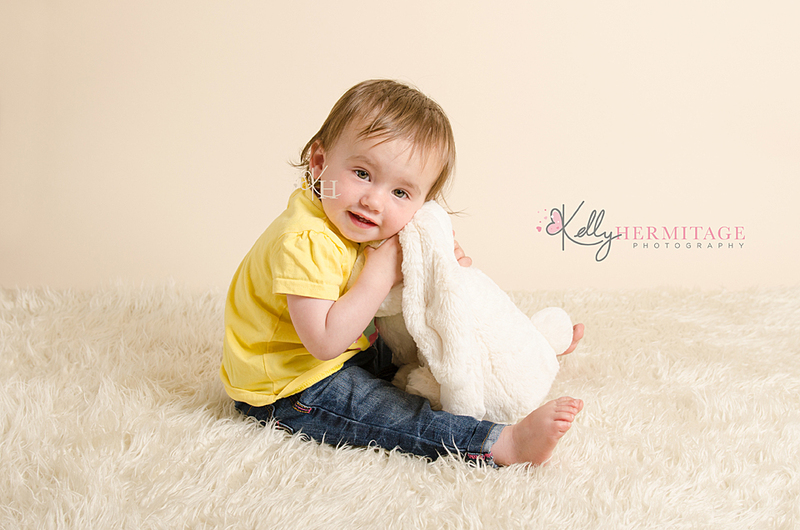 Last month I welcomed beautiful little Demi into the studio for her last ‘My First Year’ session and to celebrate her first birthday. 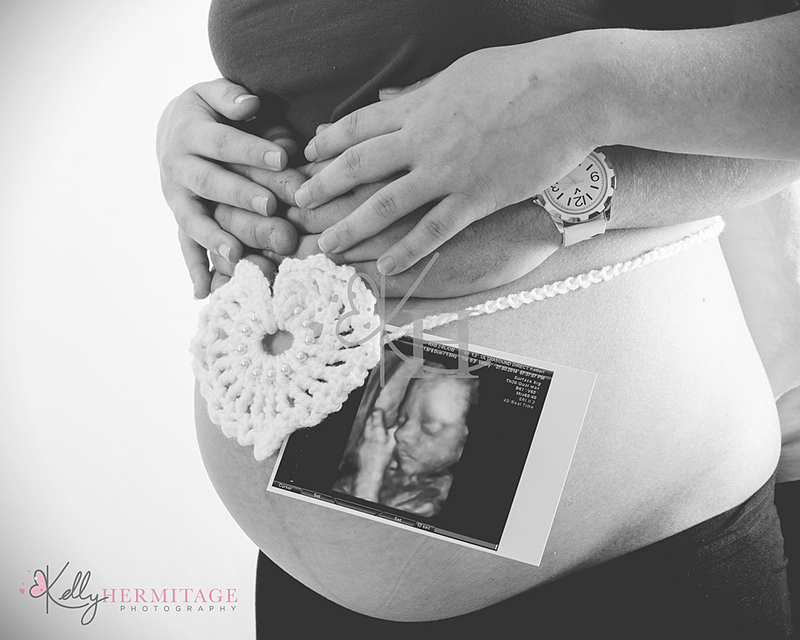 I have had the pleasure of photographing Demi every three months over the past year and even captured a few images of her before she was born when her Mummy and Daddy came to me for a maternity session. I love having clients return to the studio so that I can watch how the little ones grow and change and seeing Demi every three months has allowed me to capture just how much she has grown in her first year. Demi came for her newborn session when she was just over one week old and she was a little superstar. 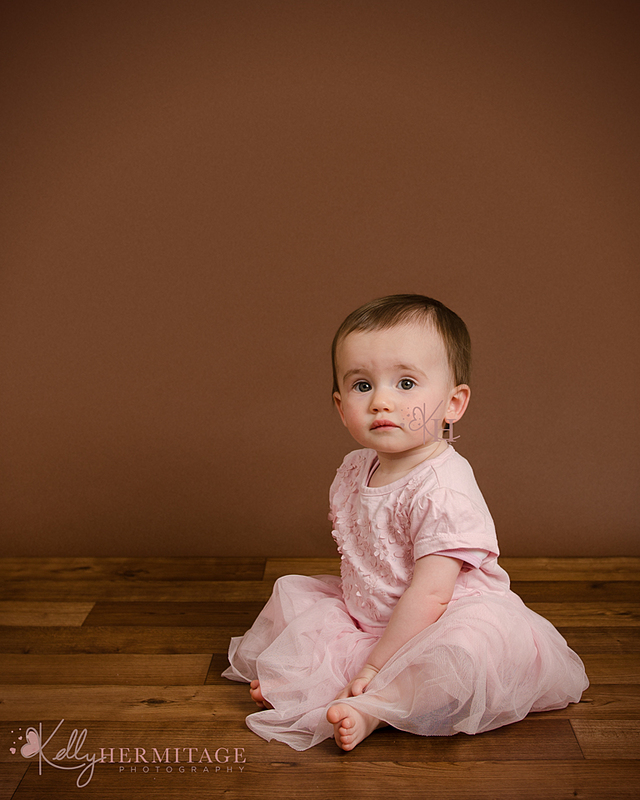 We captured lots of beautiful images for her Mummy and Daddy and this is probably one of my favourites, simple and sweet. Demi’s next visit was when she was 3 months old. We got some lovely little smiles during this session but we also got some sleepy shots. This one is one of my favourites from this session. Look at that little face. 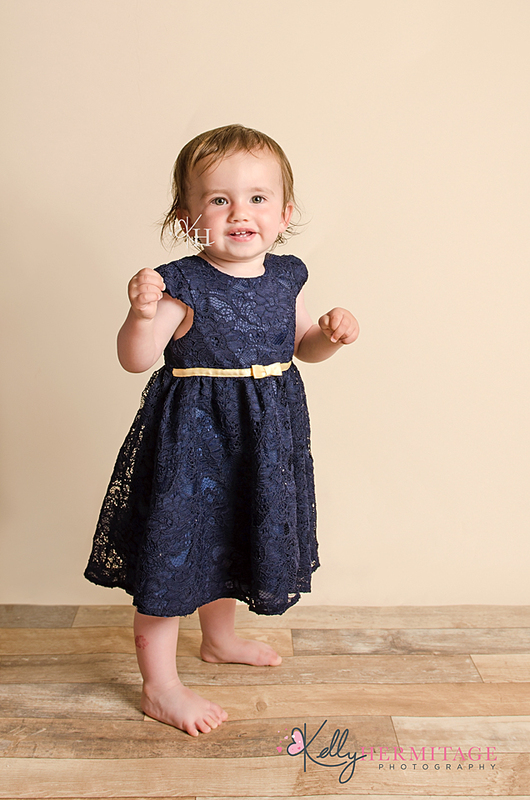 Demi was a little pro when she came for her 6 month session, she had lots of smiles to share with me and her little character was shining through in the images we captured of her. Picking a favourite from this session is hard but I love how this image captures a little smile and a baby favourite, playing with feet. Wow, what a difference. Demi is now able to sit unaided and she is such a little character. 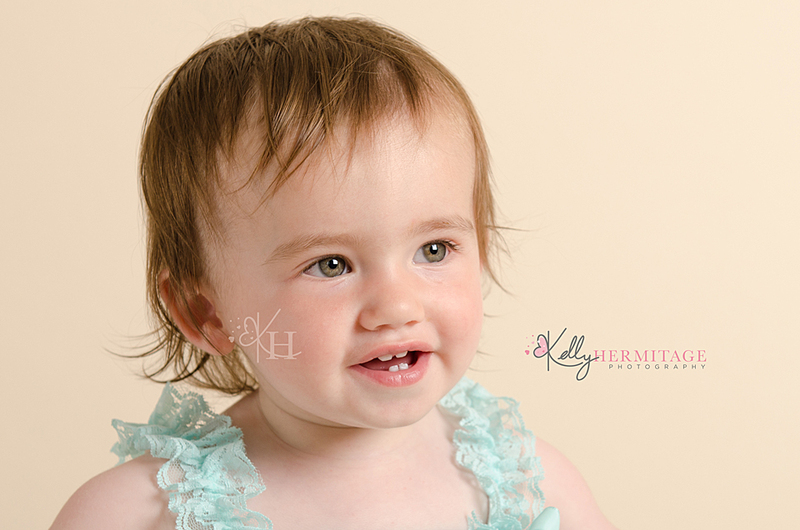 We had lots of smiles during her 9 month session and Demi was the perfect model. And now we come to Demi’s 1st birthday session and she had a big surprise in store for her Mummy, Daddy and I….. Demi stood for the first time unsupported during this session, showing us what a big girl she is and just how much she has changed.